Welcome to the Venerable Bede Church of England Academy. Please take a moment to familiarise yourself with the procedures we have for keeping all children and staff safe. 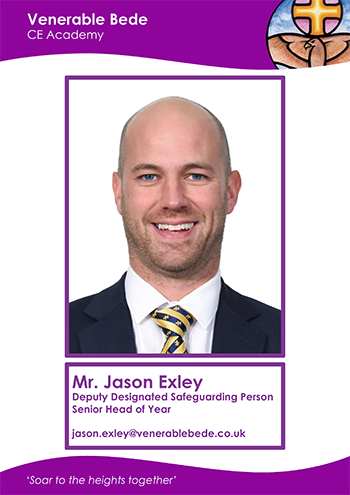 The photographs below identify the members of staff who are part of the academy’s safeguarding team. This includes the Designated Safeguarding Lead, Deputies, and the Dayspring Trust’s Director responsible for safeguarding. 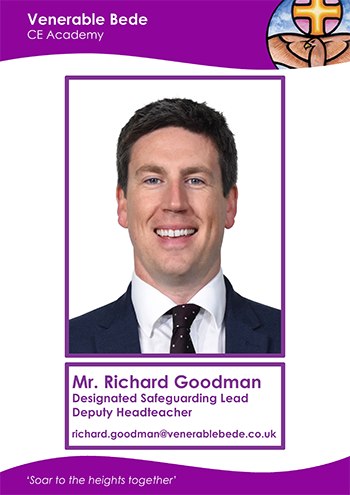 If you have a concern about the welfare or safety of any of our pupils then please ask to speak with one of these members of staff straight away. Report to Reception on arrival and where possible be able to present photographic identification when requested.